BEDMINSTER, N.J. - Jan. 4, 2017 - PRLog -- The Center for Contemporary Art is pleased to announce the opening of two new exhibitions. "The Figure: Clothed and Unclothed," features the work of Robert Bunkin, Alex Kanevsky, Scott Noel and Jenny Tango. This exhibit is curated by Mel Leipzig, a realist painter who has focused on portraiture for over 40 years, and is among New Jersey's best known and most visible artists. Also on view is "Oscar Peterson: Unbound." Both exhibitions will open on Friday, January 13th and will remain on view through February 25th. The opening reception and artist talk will take place on Friday, January 13th from 6-8 p.m. and are free and open to the public. 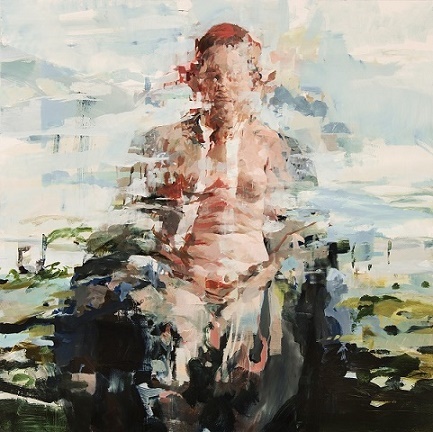 "The Figure: Clothed and Unclothed" brings together four of the finest figurative artists today. Robert Bunkin is an art historian and studio instructor on the faculty of Borough of Manhattan Community College and art curator at the Staten Island Museum. Alex Kanevsky, born in Russia, came to the United States and settled in Philadelphia and teaches at the Pennsylvania Academy of Fine Arts. Scott Noel, originally from Charlotte, North Carolina, also a resident of Philadelphia, teaches painting and drawing at the Pennsylvania Academy of the Fine Arts. Jenny Tango attended Cooper Union, NYU Institute of Fine Art, and Brooklyn College. She was an active participant in the Feminist Art Movement of the 1970s. Her column, Working Art, has appeared in Home Planet News since 1992. In an excerpt from Mel Leipzig's curator statement he states, "The figure and portrait painted in a realistic approach has been the subject of major American painters from the time of the founding of the Republic in the 18th century thru the 19th century and into the Post-Modernist period of the 21st century. From Copley through Eakins to Fairfield Porter and Philip Pearlstein. The four painters in this exhibition, Robert Bunkin, Alex Kanevsky, Scott Noel and Jenny Tango, each one in their individual way, continue this American tradition." "Oscar Peterson: Unbound" is part of The Center's faculty exhibition series. Mr. Peterson was born in Harlem, New York, raised in Brooklyn, NY, and is currently a resident of Millburn Township, NJ. He has worked as a professional art director and designer/illustrator for various corporations and non-profits, and as a commissioned fine arts painter who specializes in portraiture. An alumnus of Pratt Institute and The Art Students League of NY, Peterson has studied with such leading realist painters as Nelson Shanks, Max Ginsberg, and Costa Vavagiakis. Mr. Peterson has taught painting and drawing at The Center since 2014. When asked about the name of the exhibition and how it is reflected in his work, Peterson pointed out that, "We are all 'bound' by one thing or another. Our limitations, other people's expectations. Being 'Unbound' means having the freedom to do what you want to do with limitless goals, and without outside expectations." Jpeg images are available upon request.